Truth Table of the 3-input AND logic. 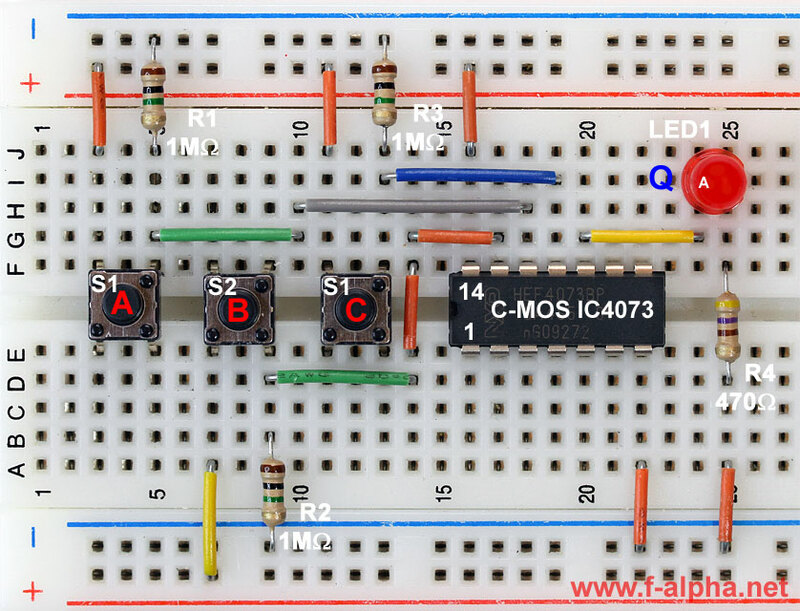 Circuit symbol 3-input AND gate. 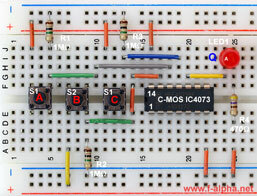 With one of the three AND gates on the C-MOS IC 4073 you can set up the 3-input AND logic with the circuit shown.